That it gets poor mileage to the gallon. 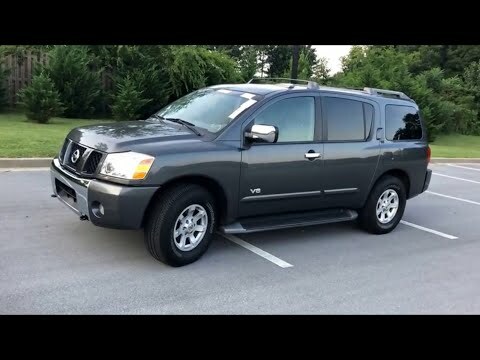 I like the size and safety of the Nissan armada. It has enough room in the vehicle to have 7-8 people to ride comfortably. There are many airbags available which would hopefully keep everyone safe in an accident. I like the carrying capacity in the back for groceries, bikes, 2 sets of golf clubs and everything you need for camping or fishing. It runs very well for a 13 year old vehicle. I dislike that it only gets 13 miles to the gallon. Runs and drives great. Ac/heater great condition, has DVD player and navigation. It is black, interior is ok not so great, the exterior needs a good paint job from sun damage. And the air conditioning works wonderful, and so does the heater. Miles are not high on it. Saves gas on long trips. Over all great SUV, it will get you from A to B most importantly. Transmission problem and brakes sometimes. Mostly transmission problem, but I had it since 2012, and it has been working good most of the time. As long as I am on time with my oil change and everything else, it is not too bad. I know some of them have been recalled few times, but mine is still doing good for now.